What a fabulous weekend. And yes, I really really did have that hair in college. Yikes. These girls. Are. So. Great. You know those friends of yours that are constant and wonderful? A couple of weekends ago (on the blogging sabbatical) I was fortunate to visit a whole boat load of them. Friends I’ve had since high school (and before! ), friends I have because of Young Life, friends that I’ve had since college and some amazing friends I’ve made after that. All within a 3 day weekend. BAM! It started with a friend picking me up from the airport. Tangent: I once heard someone say that’s a sign of true friendship. And I believe it. Plus, it’s a really great excuse to spend an hour on the drive back from the airport catching up. Then the crazy whirlwind weekend began with late night appetizers, getting to hear about great friends getting married and having babies, then sleeping at my parents house, breakfast with friends, half day board meetings… a coffee date catch-up with a dear friend. Another breakfast (seriously – turns out – it’s a great way to capture people… and a great excuse to eat greasy breakfast! 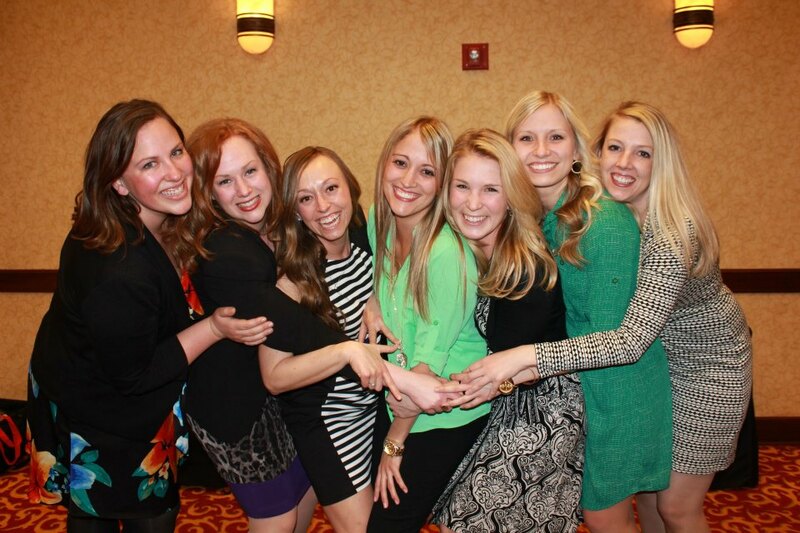 ), a pedicure (thank God) and then a full two days of sorority wonderfulness. My old roommate and I toured our old room, we saw the chandelier I randomly bought our beloved house and our group had lunch at our favorite spot. We went to meetings, we dressed up, I found a friend in a matching dress, we had drinks, I won an award and we spent the night laughing through old memories and making new ones. I’m not telling you all of this because I need you to know that I really like breakfast (which, is so incredibly true as well), but I just had to throw this post out there to say that – my friends rock. 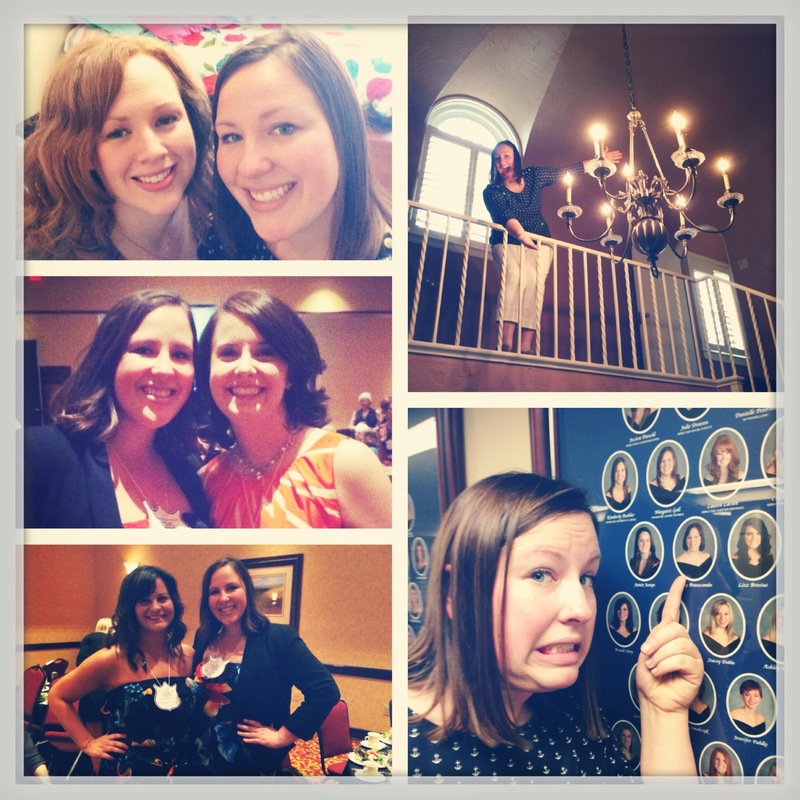 So if you read this blog, it’s most likely because you’re my friend – and I’m just so stinking thankful for you. Moving towns and changing my life has made for a few strange months and so many people have been so incredibly supportive and I couldn’t feel more fortunate about that. So thank you friends for an incredible weekend. Filled with laughter, hugs, smiles and amazing memories for years to come. 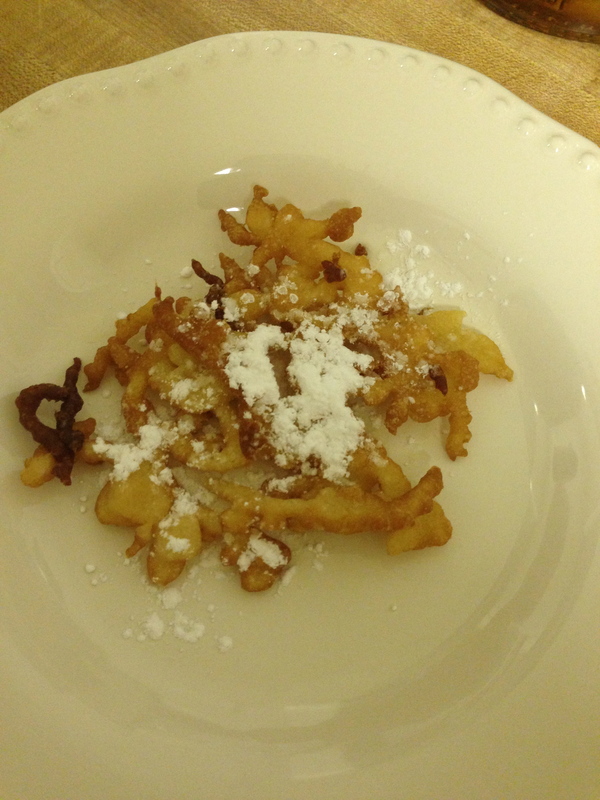 After searching around and discussing with people about “easier” frying recipes, I’d decided on funnel cakes. You make some batter, you throw it in a pan and toss a little powdered sugar on it. It sounds easy and manageable right? It TOTALLY is. Thank. The. Good. Lord. Recipe taken from the amazing Paula Deen (I mean, if you’re frying, go big or go home) from Food Network. Combine milk, egg, vanilla in a large bowl. In a separate bowl, combine flour, salt, baking soda, and sugar and gradually add to wet ingredients. Beat with a mixer until a smooth batter forms. Fold in melted butter. 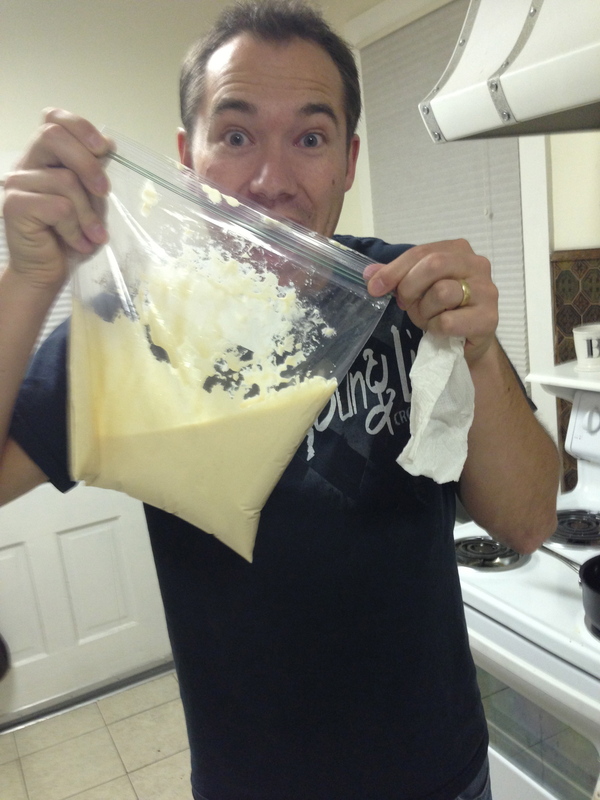 Pour batter into a funnel or squeeze bottle while using your index finger to stop the flow of the batter. Just remember… cut a SMALL slit! 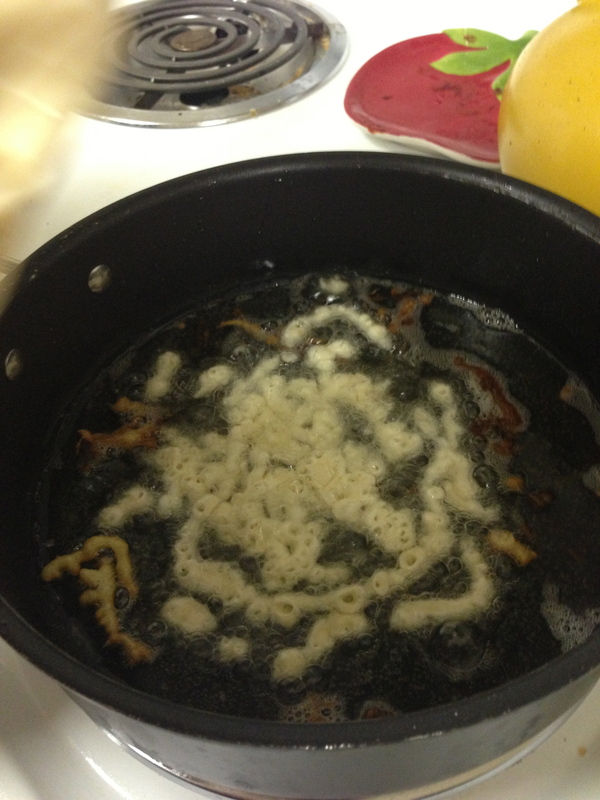 Bring the funnel over the hot oil and release your finger to start a stream of batter while moving the funnel in a circular motion to create spiral-like shapes. When it says HOT oil… I now know that it’s really just middle hot oil. Noted. Cute little squiggles all over. Fry for 2 to 3 minutes until golden brown and slightly puffed. Sprinkle with powdered sugar. How pretty is this? For serious? Also it’s delicious. The other thing… this was EASY. Really easy. If you’re having a small group over and people want to take turns making their own dessert – this is an absolute winner of an idea. Something I’m learning about myself, I really, really despise cooking meat. It just grosses me out. Which, is not saying anything about how I feel about eating meat – because I really really like eating meat. Don’t worry. I promise not to become ALL granola living out here in the mountains. I just don’t really like to cook the stuff. And that starts with learning to cook beef. I know how to put a steak on the grill. I know how to cook hamburger in a skillet. 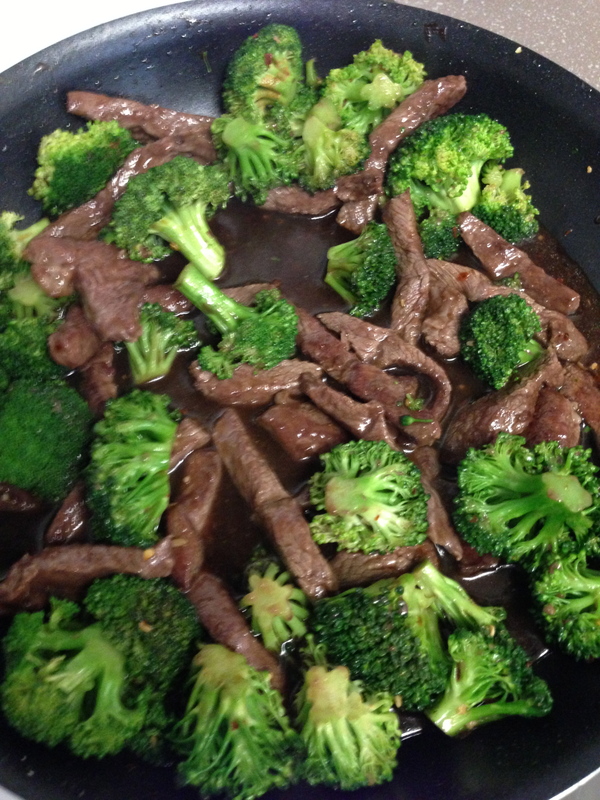 So when I stumbled across this recipe for Beef and Broccoli, I was bound and determined to give it a chance! On a plate, combine 2 tablespoons cornstarch and salt; add beef and toss to coat. 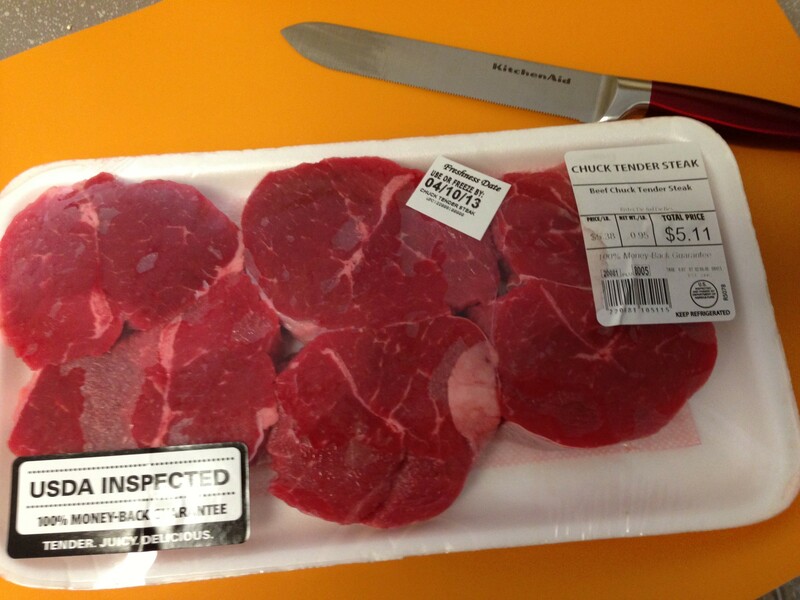 I mean, this meat worked… Also, yes I just wanted to showcase my incredible knife. Heat oil in a large nonstick wok or large deep skillet over medium-high heat. Add beef and stir-fry until lightly browned and cooked through, about 4 minutes; transfer to a bowl with a slotted spoon. Add 1/2 cup broth to same pan; stir to loosen any bits on food on bottom of pan. Add broccoli; cover and cook, tossing occasionally and sprinkling with a tablespoon water if needed, until broccoli is almost crisp-tender, about 3 minutes. Uncover pan and add ginger, garlic and red pepper flakes; stir-fry until fragrant, about 1 minute. Seriously, I wish you could have been there to enjoy the smell with me. Yum. In a cup, stir together water, soy sauce, remaining 1/2 cup broth and remaining 1/2 tablespoon cornstarch until blended; stir into pan. 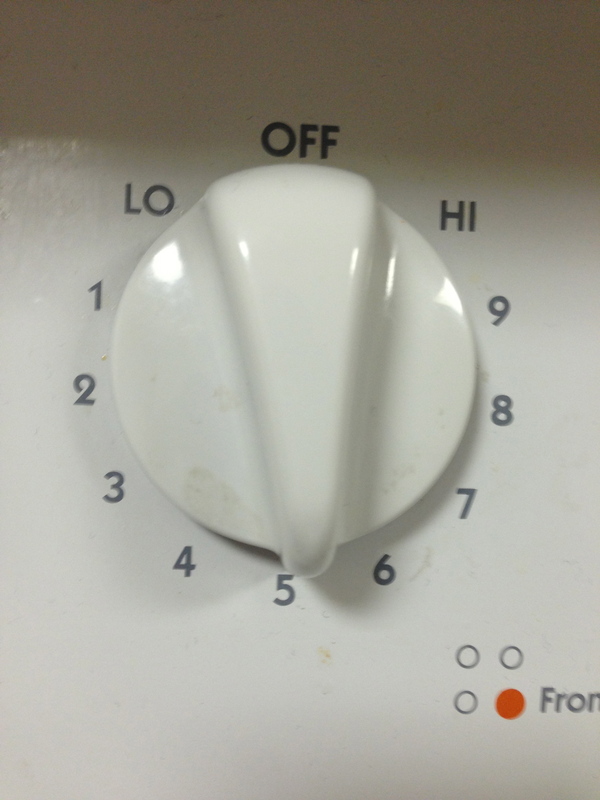 Reduce heat to medium-low and bring to a simmer; simmer until slightly thickened, about 1 minute. Return beef and accumulated juices to pan; toss to coat. Meanwhile, while following those fairly simple steps… I was making some quinoa on another burner so that it all finished right about the same time. 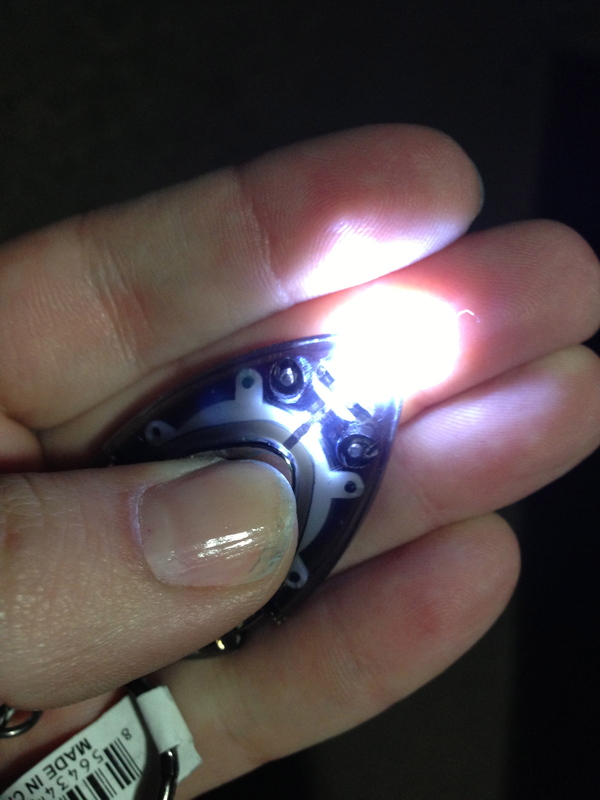 And friends – LOOK AT WHAT IT MADE! I MADE THIS AND THEN GOT TO EAT IT FOR DINNER. Wow. Color me impressed! And you know what else? It made for incredible and amazing leftovers the next day. 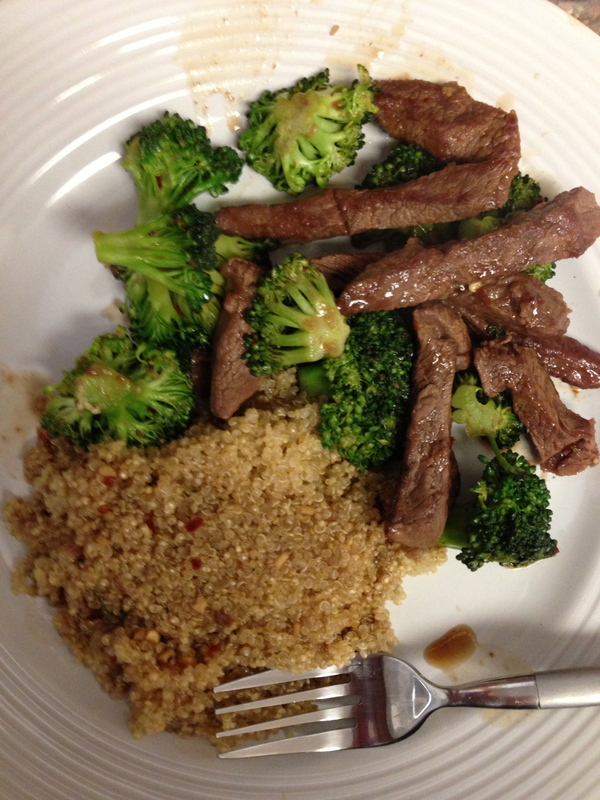 So if you like broccoli and you don’t hate cooking red meat, I’d give this one a chance! Friends, I’ve discovered a very very important new thing. You can bring your lunch to work. It’s a radical new concept, I realize, but guess what – it saves you time, it saves you money… AND it’s typically the healthier option. One morning a week or so ago we had a random delay for a snow day. Because my super awesome Jesus loving job takes into consideration your safety… and calls snow delays. Have I mentioned my job rocks? Anywho – I still go up at my alarm (fine – a few snoozes after my alarm) and had plenty of free time. I made some coffee, I showered, I curled my hair… AND I PREPARED A LUNCH. 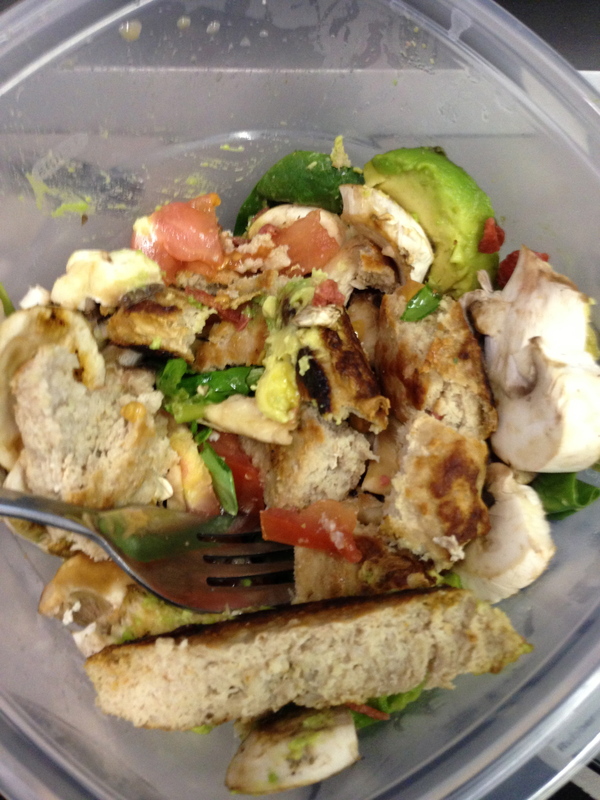 I got out the skillet – I cooked a turkey burger, sliced up a tomato, avocado, some mushrooms and a red onion and threw it in a Tupperware on a bed of spinach. It’s so many great things in one container. And kids, it was delightful. Well, if we’re being honest – I’d also thrown in some bacon bits – because – they make EVERYTHING better, but by the time I ate it, they were soggy. And soggy bacon bits lose a bit of their magical powers, you know? So – word to the wise – don’t leave bacon bits in a container with moist (yikes – I know) things. Lesson learned. It makes you feel SUPER fancy at work. It gives you the warm fuzzies. Your co-workers are bound to be impressed. It’s GOT to be better for your waist line than another trip to Chick-fil-A! If you have other quick/easy-to-make lunch ideas – shoot them my way! I’d love to try them!! 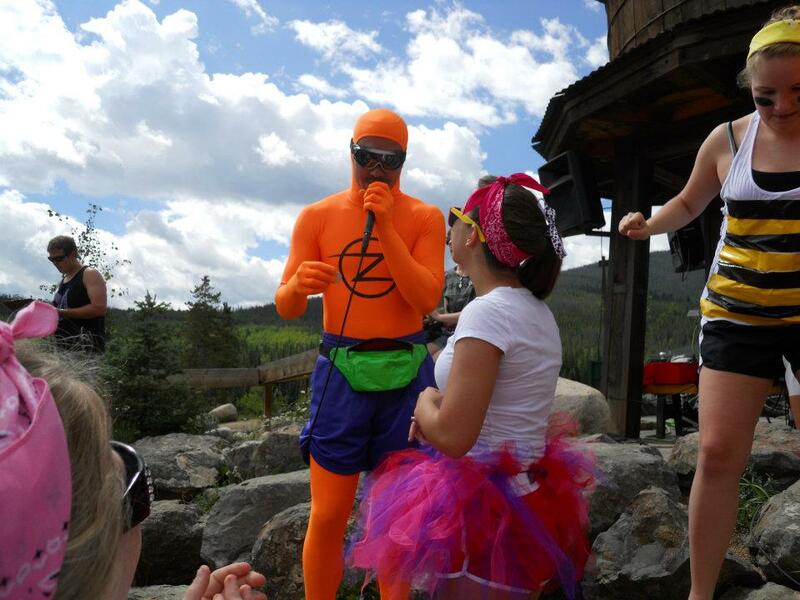 I have not fallen off the face of the planet… I just was taking a blogging break. Because here’s what I’ve learned about blogging. Sometimes, I just don’t want to share everything I do with the world. Right away anyway. Sometimes I just want to process on my own and then share. And sometimes, I really don’t have that much to share. Or that much that I think is entertaining enough to share. So I store up stories for a while. So, no worries to those of you who thought maybe I was sitting around doing nothing for the past few weeks. I just wasn’t ready to share it with all of you and put a humorous spin on it. I’ve been cooking, I organized my drawers, I spent time with amazing friends, found a new place to live come May, saw the fam, budgeted some more and discovered a couple of new restaurants. 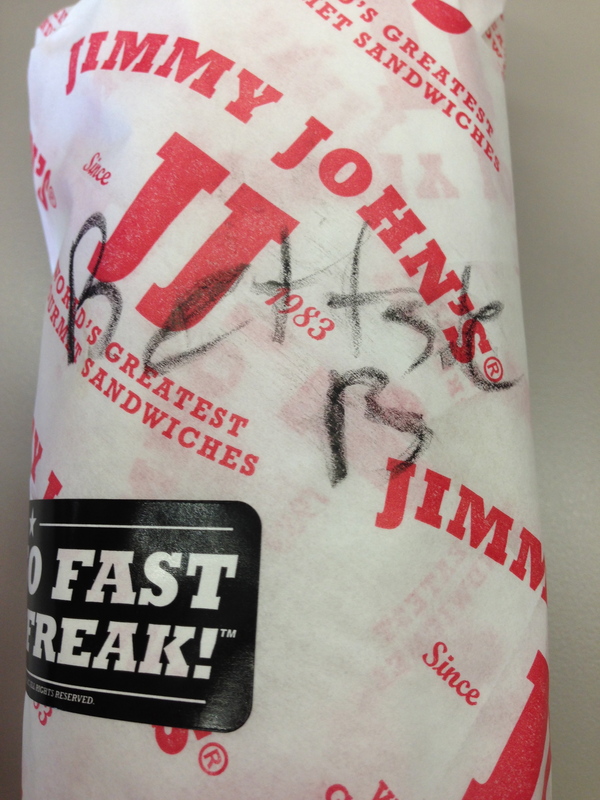 Oh Jimmy Johns, you’re so cray cray. Bettsie. I mean, hooked on phonics maybe didn’t work for this person – but hey – no judging here. Bad spellers of the world unite! I promise to re-join the blogging world this week. With fun stories. And good recipes. And lots of laughs. Thanks for sticking with me through radial silence. You guys are the best. Someone mentioned this video yesterday because it was Thursday, Thursday. Today it is Friday. Friday. The Rebecca Black Friday video. In fact, I absolutely just considered purchasing it and making it my alarm ring tone. I mean, how cheerful is that to wake up to? Fun. Fun. Fun. Looking forward to the weekend. How terrible. And awesome. Seriously – how did that become a thing? High five Rebecca Black. Way to hit viral video fame. 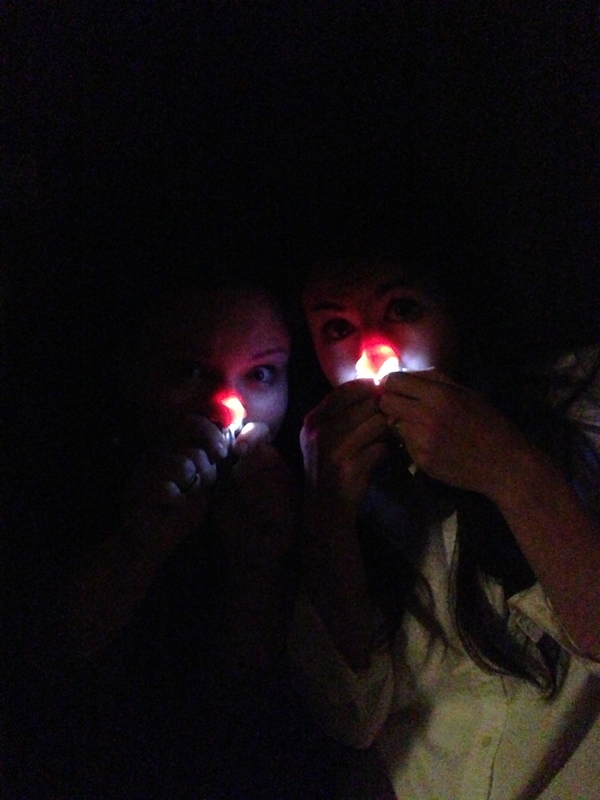 We we we so excited. 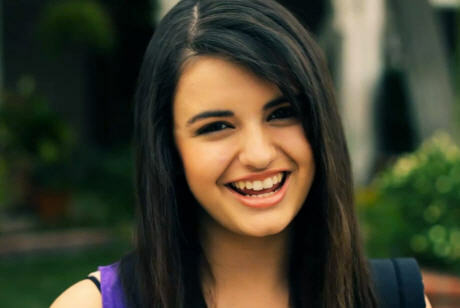 Oh – And if you’re confused, just remember, it’s like Rebecca Black says. Tomorrow is Saturday and Sunday comes afterwards. There’s something about having a newer car that makes you really want to keep it clean. Inside and out. And for those of you that knew me when I had my Trail Blazer Pat (yup, the cars name was Pat – was it a boy? was it girl? It was Pat. I’m sorry if your name is Pat. I’m mean. I know.) – you KNOW that’s a feat. So I enjoy driving through a quick car wash when Chrysanthemum (we call her Chrissy for short) gets really dirty. 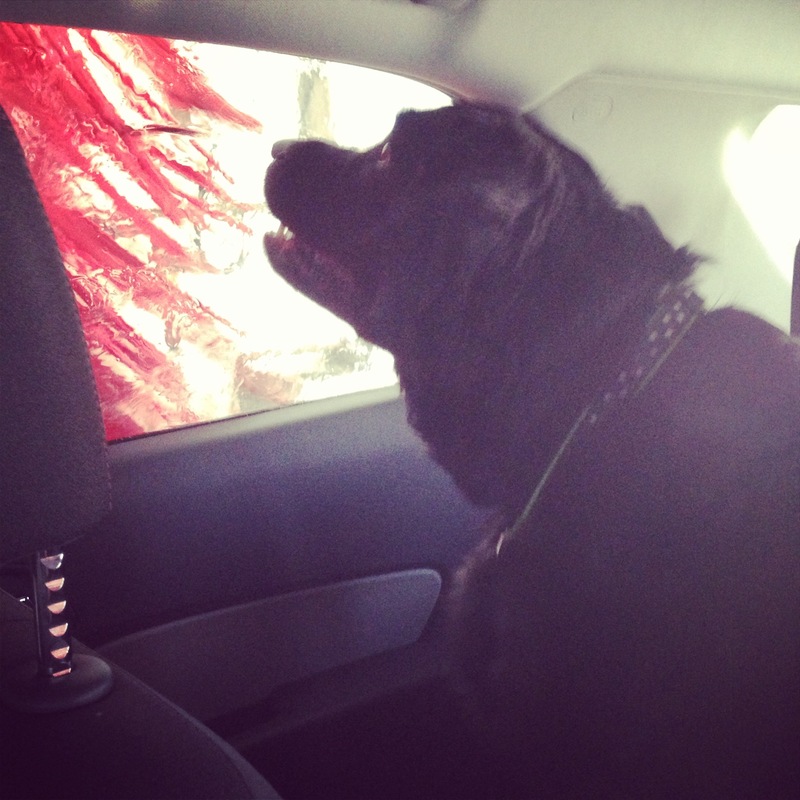 But you know who likes the car wash even more than I do? She loves the car wash. Which makes me smile. Some may say her smearing her nose against the window defeats the entire purpose of trying to keep it clean… But hey – when are the inside of my windows EVER clean?! But the outside. The outside is purely magnificent! It’s a tough call, but I think March was my most favorite month of 2013 thus far. I celebrated a birthday, was showered with love, received SO MUCH MAIL (which I love), went to a wedding, almost caught my apartment on fire, realized cropped tops were back in style and enjoyed a nice calm and restful Easter with friends. 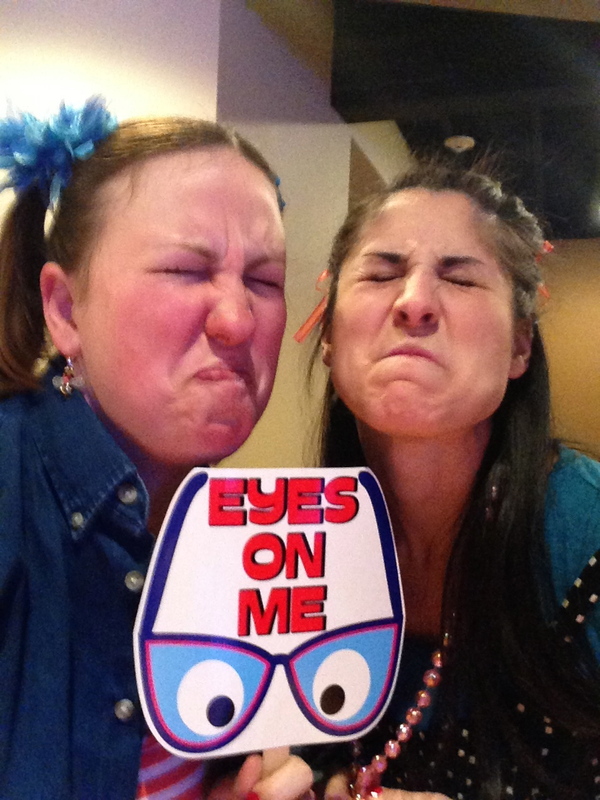 I mean, there were not great parts too… but I’m fairly certain the good outweighed the bad! And I conquered some serious goals. I’m putting together a budget. So we’ve already discussed that I used to work at a bank and back in those days I discovered the beauty that was mint.com. It’s an aggregation tool that basically pulls all of your financial information into one place… where it then categorizes everything you spend so that you can EASILY watch where your money is going. So I logged in this month, renewed all of my accounts, categorized all of my purchases and worked through a budget. I mean, I wouldn’t say it was easy, it took some serious time to set up the categories (because I have a mortgage payment and a rent payment… so that confused mint a bit), went through EVERY transaction and then set amounts. I’m having a hard time letting it log me into one of my accounts… but once we get that in there – the budget will be complete. Oh – and even better – Mint emails you when you’re being bad. “Hey Betsy, you spent more on Coffee this month than you said you were going to. STOP DOING THAT.” I mean, come on, talk about accountability. That’s just plain awesome. So if you’re in the market for some fairly basic budgeting software give it a try. I think you’ll like it. Oh, plus there’s pretty graphics. And as a visual person, it’s hard to say no to some pretty charts. Re-become a morning person. This is a weird one to measure. I knew that going into it, but I feel like I’ve finally started re-adjusting. Going to bed earlier, getting up earlier. And I’m loving it. Partially I think it’s easier to do because as you get up earlier the sun is up earlier to greet you. Partially it’s because I asked friends to go to a 5:30am boot camp class. Yuck. And yay. I’m torn! Those were LONG responses, because I didn’t really blog about those to lead you anywhere. Whoops. Sorry about that. So now… for April goals. Organize my drawers. I know a I talked a little bit about this here, but seriously, I’m going to clean out and re-organize my drawers. I thought I’d cleaned out PLENTY when I moved here. But my stuff doesn’t really fit in my two dressers. And that’s just sad. If I’m not wearing it, then it needs to go. Especially since I’m about to move my costume closet from home here. And that stuff takes up some serious space. Well, that and I know I’m going to have to move again in May… and why not just move less?! You’ll for sure get a blog post about that. You know, something to look forward to. Read Jesus Calling. Every day. All month. There’s been a few bad days this last month and I’m constantly amazed at the comfort I feel when I’m down and I spend time in the Word. Which should always be where I turn first, but sometimes, it’s an after thought (if we’re being honest). To be fair, Jesus Calling isn’t necessarily ‘the Word’ – but it’s a little bit of a daily inspiration that then normally leads me into the Bible to look up the verses it’s referencing. If you’re in need of a daily pick-me-up, I’d find yourself a copy. It’s uplifting, it’s inspiring and it’s a bit convicting. Which is just what my heart needs! Fry something. At first the failure was terrifying. But then I just got mad. And now I feel challenged. I’m going to fry something. Maybe not cheese frenchees… but something. You know, since the microwave is already burned. Might as well attempt something again before it gets replaced… And this time, I WILL have people around. Because this time, I’m going to want witnesses. It’s going to be a great month. I can’t wait! As a quick follow up to the Cheese Frenchee post, I’d like to just share with all of you a picture of this so-called Cheese Frenchee. 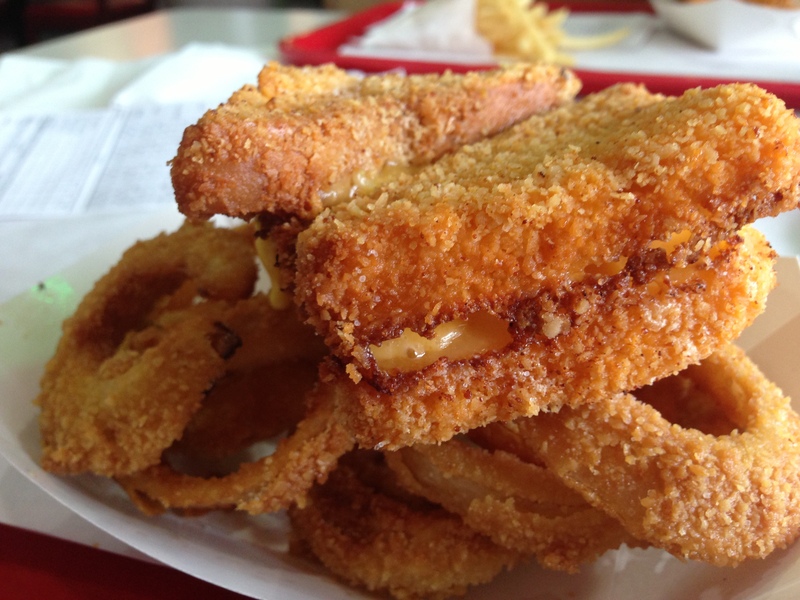 And yes, it’s sitting on top of a pile of greasy nasty onion rings. 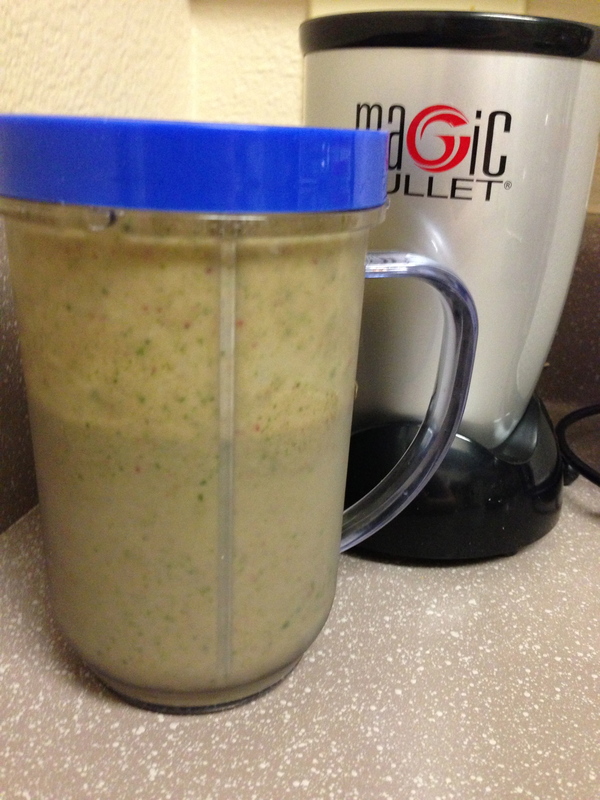 It’s true, after having to think through all of the ingredients, I admit, it’s pretty gross. But really, it tastes delicious and it’s SO worth it. I also wanted to give you a little teaser of things to come. There really are 101 Things To do. That’s at least 101 blog posts. I had a whole lot of amazing birthday presents this year. 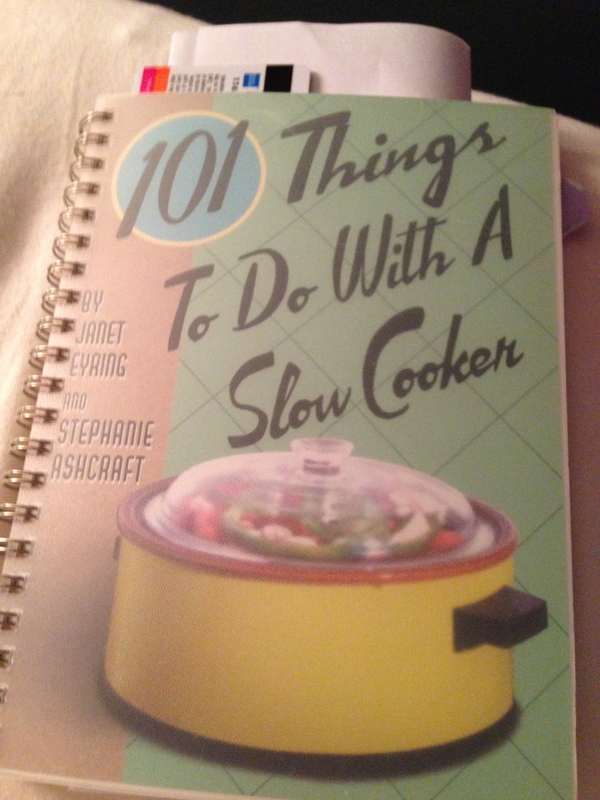 And this slow cooker cookbook is the one of the best. I looked through it briefly trying to decide what I wanted to do first. And I found six recipes that I had a really hard time trying to narrow down. So there will be plenty of crock pot fun in the near future. Oh… and this found it’s way into my kitchen this week too.. This. Makes. Blending. Things. So. Easy. And it’s so clean. And it’s so small. It’s PERFECT! This slightly charred kitchen is fully loaded and ready to cook up a storm!